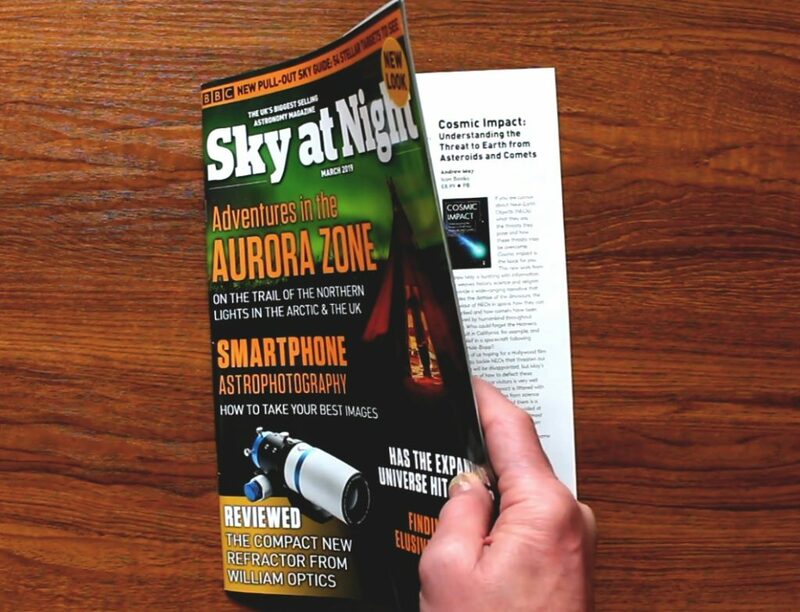 As you can see from the above picture, the current issue of the BBC’s Sky at Night magazine includes a review of my book Cosmic Impact. It’s a really nice review, too, by Katrin Raynor-Evans – who says, among other positive things: “The text is superb … It is informative and clear, and May manages to encapsulate everything you need to know about the potential risk to our planet and species.” She gives it four stars out of five. This short book is ideal to get a good overview of the subject without having to delve into too much technical detail – and May makes it approachable by giving the subject context from the many science fiction and popular culture scenarios … where something hits the Earth from outer space. 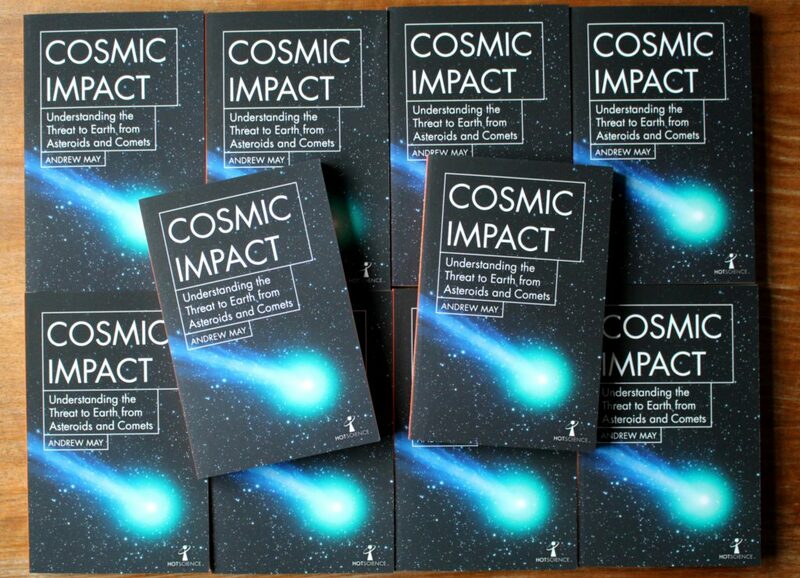 But if hiding under the sofa is more your style, try Cosmic Impact: Understanding the Threat to Earth from Asteroids and Comets by Andrew May. As end-of-the-world scenarios go, an apocalyptic collision with an asteroid or comet is the new kid on the block, gaining respectability only in the last decade of the 20th century with the realisation that the dinosaurs had been wiped out by just such an impact. Now the science community is making up for lost time, with worldwide efforts to track the thousands of potentially hazardous near-Earth objects, and plans for high-tech hardware that could deflect an incoming object from a collision course – a procedure depicted, with little regard for scientific accuracy, in several Hollywood movies. Astrophysicist and science writer Andrew May disentangles fact from fiction in this fast-moving and entertaining account, covering the nature and history of comets and asteroids, the reason why some orbits are more hazardous than others, the devastating local and global effects that an impact event would produce, and – more optimistically – the way future space missions could avert a catastrophe. I’m part way through writing my third contribution to the Springer “Science and Fiction” series, after Pseudoscience and Science Fiction last year, and Rockets and Ray Guns a few months ago. 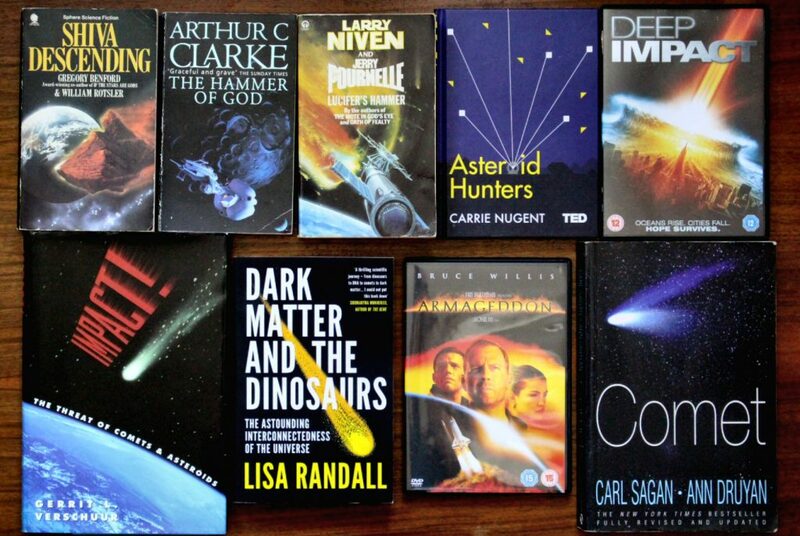 As I’ve done in the past, I thought I’d share a photograph of some of the books I’ve been using as “research material” – one of the most enjoyable things about writing for this series! Unlike the previous two books, the unifying theme of this one has more to do with style than subject-matter, so it may not be obvious from the photo. So you’ll have to wait until Springer formally announce the new book – hopefully some time in the first half of next year. My second contribution to Springer’s Science and Fiction series is out now – Rockets and Ray Guns: The Sci-Fi Science of the Cold War. It’s in a similar style to Pseudoscience and Science Fiction, and even includes some pseudoscience of its own (e.g. UFOs, ESP and mind control) as well as the more obvious topics such as nuclear weapons, guided missiles and space warfare. The Cold War saw scientists in East and West racing to create amazing new technologies, the like of which the world had never seen. Yet not everyone was taken by surprise. From super-powerful atomic weapons to rockets and space travel, readers of science fiction had seen it all before. Sometimes reality lived up to the SF vision, at other times it didn’t. The hydrogen bomb was as terrifyingly destructive as anything in fiction, while real-world lasers didn’t come close to the promise of the classic SF ray gun. Nevertheless, when the scientific Cold War culminated in the Strategic Defence Initiative of the 1980s, it was so science-fictional in its aspirations that the media dubbed it “Star Wars”. 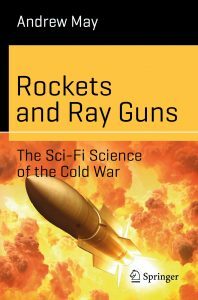 This entertaining account, offering a plethora of little known facts and insights from previously classified military projects, shows how the real-world science of the Cold War followed in the footsteps of SF – and how the two together changed our perception of both science and scientists, and paved the way to the world we live in today. Needless to say, Rockets and Ray Guns is available from all good booksellers, including Amazon.com and Amazon UK. These days I always seem to be working on a lot of things at once, so “next book” has multiple meanings. There’s the next one to be published, which I finished writing several months ago and is now making its way through the publisher’s production process. There’s the one I’ve been asked to write and given a title for, but I’ve barely started to think about it yet. And then there’s the one I’m actually writing at the moment. That’s the one I’m talking about here. There’s a clue to its subject matter in the research material pictured above! When I wrote The Telescopic Tourist’s Guide to the Moon last year, I wanted to refer, amongst other things, to descriptions of real lunar features in works of science fiction. Surprisingly, I found that many of the most famous Moon stories don’t actually refer to specific locations. Even more surprisingly, one of the few novels that does contain realistic descriptions of lunar geography is one of the earliest – Jules Verne’s Around the Moon, dating from 1870. The surprise comes because Around the Moon – and its predecessor, From the Earth to the Moon (1865) – are probably best known for the completely unrealistic mode of travel, i.e. by means of a projectile launched from a giant cannon. But when I reread the novels, I was struck by just how scientifically knowledgeable they were – by the standards of their time, at any rate. As well as the physical descriptions of the Moon, Verne gets other subtleties right, too – such as the way things move once they get outside the Earth’s atmosphere (something Hollywood barely understands to this day). The idea of using a large gun to send humans into space is as impossible today as it was a century and a half ago, when Jules Verne wrote From the Earth to the Moon and Around the Moon. Yet he went to great lengths to persuade readers it wasn’t impossible – not through arm-waving and made-up technobabble, but using real physics and astronomy. 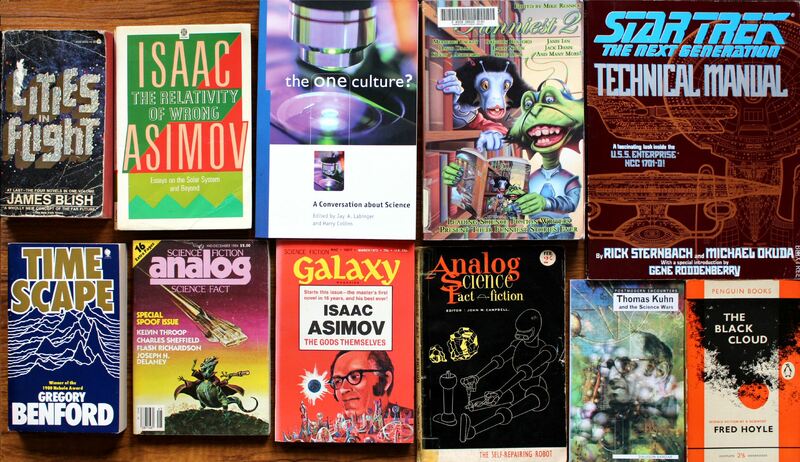 No one had done anything like that in fiction before – and even today it’s unusual to see so much “real science” discussed in a work of science fiction. But just how much did Verne get right, and what did he get wrong? This book takes a closer look at the science content of his two great Moon novels – from Newton’s laws of motion and the conservation of energy to CO2 scrubbing, retro-rockets and the lifeless grey landscape of the Moon. 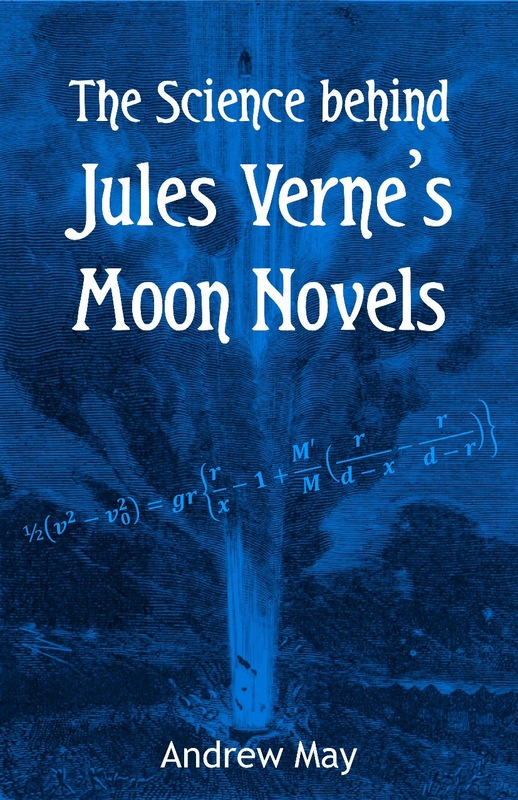 The Science behind Jules Verne’s Moon Novels is available as a paperback or Kindle ebook from Amazon.com, Amazon UK and all other Amazon sites. The popular series of “30-second” books from Ivy Press has been running for several years now. Next month sees the latest in the sub-series of physics-related titles edited by Brian Clegg. This is 30-second Energy, following on from 30-second Quantum Theory, 30-second Physics, 30-second Newton and 30-second Einstein. As with those earlier books, 30-second Energy includes contributions from myself as well as from Brian and several other authors. 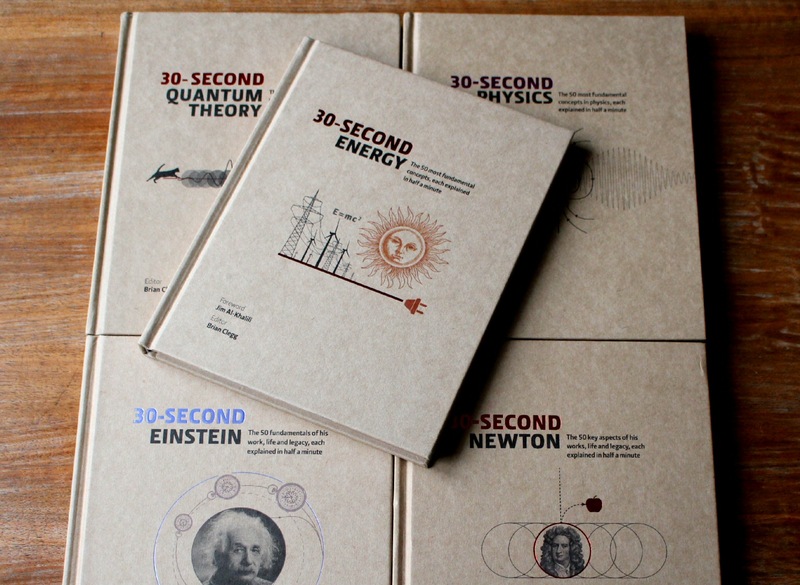 30-second Energy is a slight departure from the previous titles in that it’s more about practical applications of physics than theory or academic research. That means that (as with virtually anything “useful” that comes out of physics), many people won’t even realize that it is physics! That’s not necessarily a bad thing, since readers who wouldn’t dream of buying 30-second Quantum Theory or 30-second Newton might still be attracted by 30-second Energy. This book differs from the previous four in another way too. It’s the first to include a Foreword by a “big name” – in this case, Jim Al-Khalili. Apart from that, it’s very much the same style as the others – about 60 double-page spreads of get-to-the-point-quickly text and lavish full-colour illustrations. As I’ve said before though, “30 seconds” is a slight exaggeration – it will probably take you at least 90 seconds to read each of the entries properly! 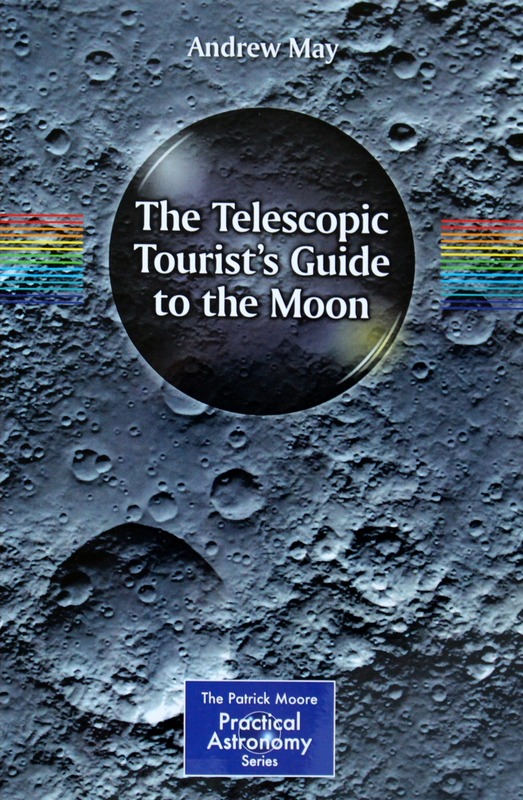 Hot on the heels of Destination Mars, here’s another book of mine that’s new out this month – The Telescopic Tourist’s Guide to the Moon, published by Springer. I actually wrote it several months after the Mars book, but Springer have a very fast system compared with more traditional publishers so it caught up! Have you ever been inspired by stunning images from the Hubble telescope, or the magic of sci-fi special effects, only to look through a small backyard telescope at the disappointing white dot of a planet or faint blur of a galaxy? Yet the Moon is different. Seen through even a relatively cheap telescope, it springs into life like a real place, with mountains and valleys and rugged craters. With a bit of imagination, you can even picture yourself as a sightseeing visitor there – which in a sense you are. Whether you’re interested in visiting Apollo landing sites or the locations of classic sci-fi movies, this is the tourist guide for you! It tells you the best times to view the Moon, the most exciting sights to look out for, and the best equipment to use, allowing you to snap stunning photographs as well as view the sights with your own eyes. 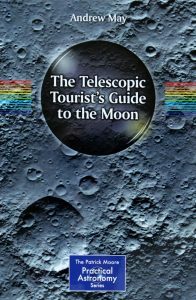 It probably goes without saying, but The Telescopic Tourist’s Guide to the Moon is available from all good bookshops, as well as online retailers such as Amazon.com and Amazon UK. Icon Books’ Autumn catalogue includes the first two titles in a new series called Hot Science. 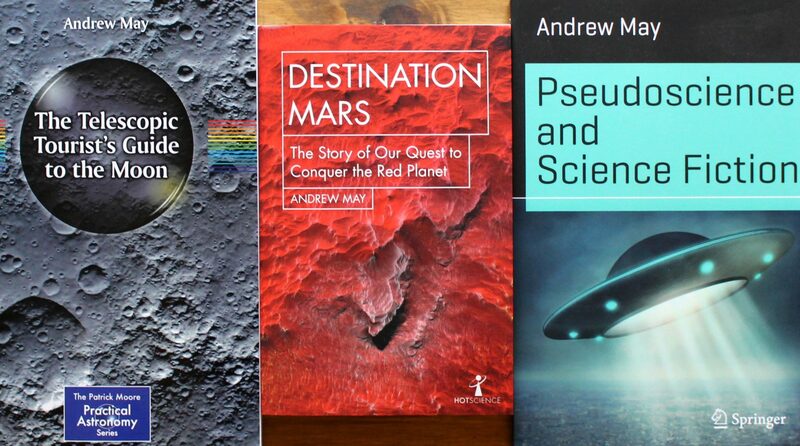 I’m very pleased (and honoured) that one of these is by me – Destination Mars, pictured above. 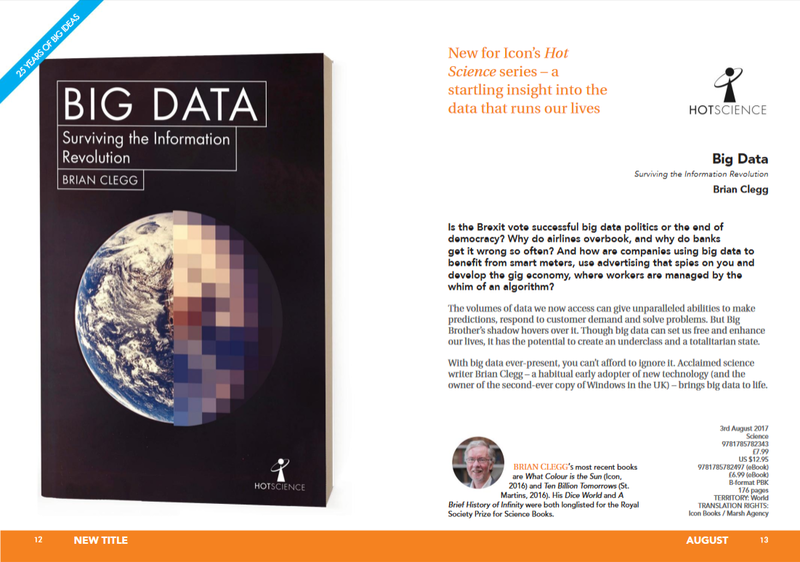 The other title is Big Data, pictured below, by Brian Clegg. When the Apollo astronauts walked on the Moon in 1969, many people imagined Mars would be next. Half a century later, only robots have been to the Red Planet and our astronauts rarely venture beyond Earth orbit. Now, Mars is back. With everyone from Elon Musk to Ridley Scott and Donald Trump talking about it, interplanetary exploration is back on the agenda and Mars is once again the prime destination for future human expansion and colonisation. 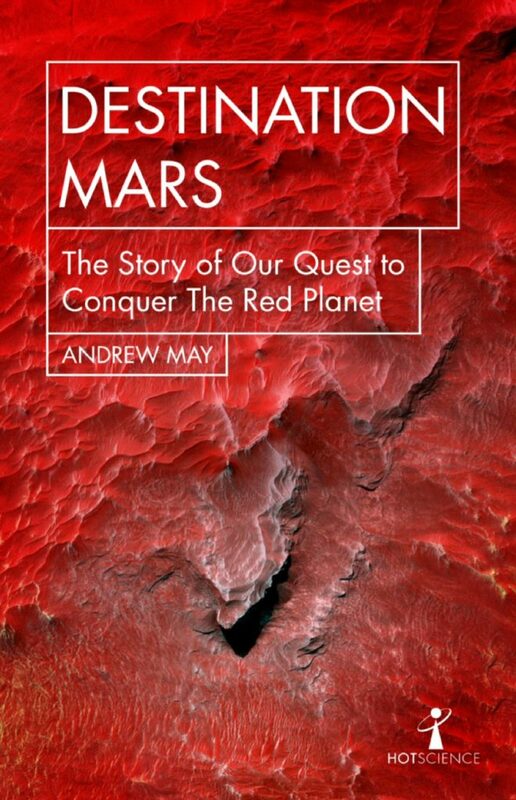 In Destination Mars, astrophysicist and science writer Andrew May traces the history of our fascination with the Red Planet and explores the science upon which a crewed Mars mission would be based, from assembling a spacecraft in Earth orbit to surviving solar storms. With expert insight he analyses the new space race and assesses what the future holds for human life on Mars. 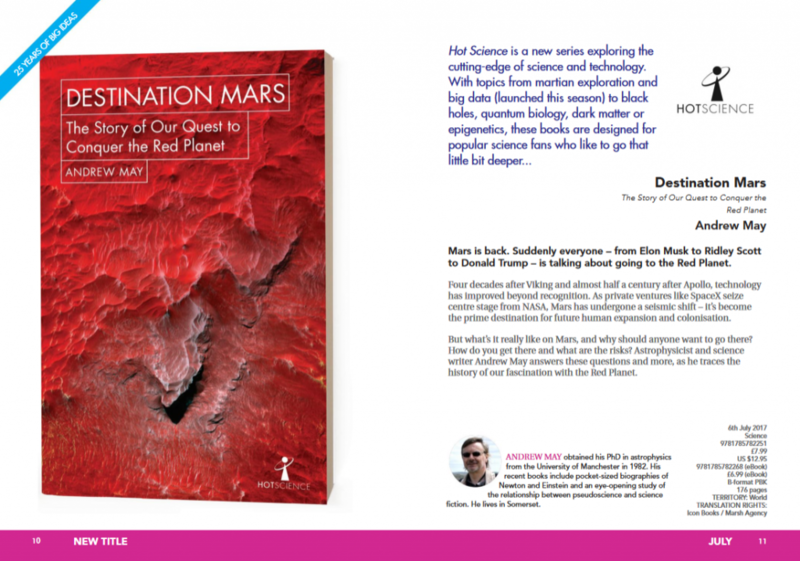 Destination Mars is published on 6 July 2017, followed by Big Data on 3 August 2017.